LAPTOP REPAIR at affordable rates. A full range of laptop repairs are available. We repair windows laptops and the mac OS x laptop range. Our laptop repair service covers all makes & models. 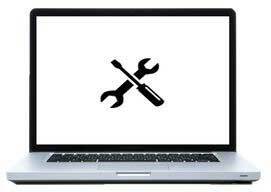 Whether you are have a hardware or software issue on your laptop we can help. IT SUPPORT that is FAST RELIABLE and AFFORDABLE! Our IT support service can be designed specifically for your individual business needs. We provide a full range of IT services. No matter what your problem is Computer Solutions will have dealt with it before. Computer Solutions are Fast, Friendly and Affordable - with over 10 years experience! About Our Edinburgh Based Computer Repair & IT Support Services. As the name suggests computer solutions Edinburgh can help with all your computing needs. We can assist with PC or LAPTOP repairs, IT SUPPORT or even with your WEBSITE and its SEO needs. We Have been Repairing Computers Since 2004. Our Computer Repair Experts have a back ground in IT & Electronics and Educated to Post Graduate Level. At Computer Solutions Edinburgh we strive to provide a comprehensive service that is not only professional but Fast Friendly and Affordable. We have repaired thousands of laptops. We have been repairing laptops for over 10 years. 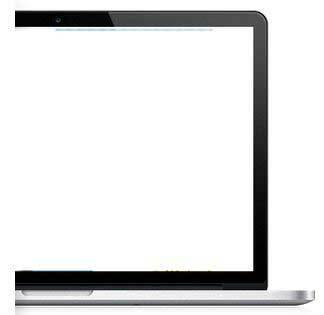 Our Edinburgh based laptop repair service covers all aspects of laptop repair and maintenance. We can collect your laptop computer at a time that suits or you can arrange to bring it to us. We aim to repair laptops on the same day or within 24 hrs. 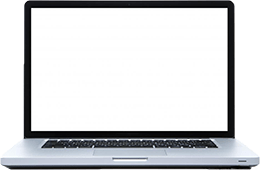 For customers in Edinburgh and the Lothian’s onsite laptop repairs can also be arranged. Our PC repair service is also Edinburgh based and is similar to our laptop repair service, By that we mean; We can provide pc support at your home or office. Our Computer Repair Service covers all brands and types of PC's. 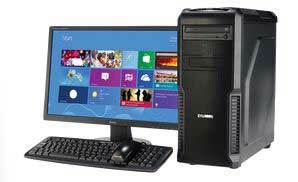 We can collect your PC for repair or you can simply bring your PC to us help. Our PC repair service can deal with any pc support you require. In addition to our Laptop and PC repair and support service we also specialise in the delivery of IT support. 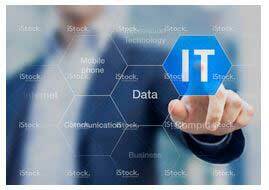 Our IT support service is well established and assists many business throughout Edinburgh and beyond with IT support. Our clients that use us for IT support range from small local businesses to larger international franchises and corporations. 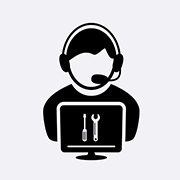 Our IT support is a same day service that can assist onsite or remotely. We provide pay as you go IT support or can arrange personalised IT support package to suit individual business needs. High End Laptop Brands we are familiar with include Alienware, Clevo, Lenovo, Legion, EVO15-S Razer, Acer Predator ROG, Helios & MSI Laptops. We are here to help with any broken laptop and aim to resolve laptop faults promptly and competitively. Along with laptops If you are the Owner of a Custom Gaming PC or workstation computer that is faulty our professional PC Repair Experts can also Remedy your computer problems quickly and effectively. We Fix, Repair and Maintain all types of Custom or Gaming PC’s . We can Improve overhaul and provide replacement parts for your computer. Looking to upgrade or just maintain your PC we can do that too. Visit Our Laptop Repair Page for more information on the variety of laptop repairs we carry out. General Computer Repair Enquirys - Fast Response - Get Help !